"The Bible doesn't teach us to live off what others make." "Donald Trump's policies don't work with what the scriptures say is good and holy." Donald Trump took the lion’s share of votes from many white Americans who identify as Christian. But he’s also been harshly and vocally criticized by lots of Christian groups and leaders in the US and around the world. I wanted to find out where this contradiction comes from – what it is about Trump’s way of seeing things that attracts some Christians so much and makes others feel ashamed to claim the same religion as his. Has it got anything to do with their faith? Are his ideas for the US economy in line with Christian teachings? To try and find out, I spoke to a couple of Christians – one pro-Trump, and one-anti – about their faith, about whether there is a connection between their faith and their feelings towards Trump’s ideas for the US economy. It turns out, there is; and it’s pretty significant. 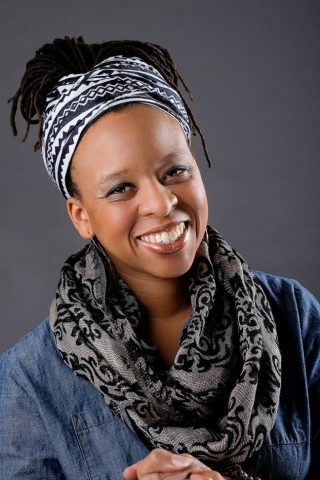 Micky is a life-long Christian who works on matters of social justice with Faith Matters Network, a people of color led collective that trains, connects, convenes, and amplifies marginalized people of faith. She’s no fan of Trump. Micky grew up going to a traditional black church. Over the years her faith has changed from a “conservative, evangelistic” one to a faith that focuses “less on rules” and more on spirituality and justice. It touches all aspects of life, including her ideas about what the economy should look like. In Micky’s view, economies should be set up to help those who need help, based mainly on need. But other Christians feel differently about how the economy should work. Marie, like Micky, lives her life according to the teachings of the Bible and of Jesus. She describes herself as “raised un-churched” but later in life says she “surrendered her life to Christ”. Marie (not her real name) asked not to be identified by name, but tweets as @aconservativwife. Marie owns a small business, and says the regulations under President Obama harmed her chances at success. “As a Christ follower I should be helping to impact the world for good,” she explains. In terms of how this influences her views the economy, she sees ‘big government’, and in particular too much spending on welfare, as plain wrong, even sinful. By helping poor people too much, governments can end up making people dependent on state hand-outs, she argues. This means people get caught in a trap of dependency, so never escape a life of sinful sloth and laziness. For Marie, when governments spend too much money on welfare, they’re not simply wasting money: they’re standing in people’s way who might otherwise lead virtuous lives. Micky disagrees. She emphasizes the need to directly help those who need it. Charity and the redistribution of resources doesn’t need to be limited to family or the church; governments can get involved too. Marie and Micky’s different interpretations of the Bible have led to complete opposite views on what governments should do about poverty. 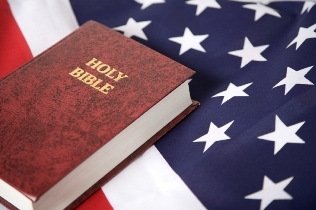 But there are similarities between the way they, and pro- and anti-Trump Christians more broadly, view things when it comes to the Bible and the economy. Both Marie and Micky emphasize community; they both refer to the Bible’s instruction to “love your neighbor”; and they’re clearly both guided by what Micky describes as a “deep sense of right and wrong”. They both care deeply about people and their communities, but disagree on what type of economic policy will do their communities good. For Marie, and the hundreds of thousands of Christians who supported him, Donald Trump’s policies will achieve what they think their communities need, in a way that aligns with what they feel is the right approach for governments to take – pushing people to make their own way. Micky ScottBey Jones is Director of Healing Justice at Faith Matters Network. Marie (not her real name) is an active member of her community and pro-life campaigner. She goes by @conservativwife on Twitter. ***Please note: the views and opinions expressed in this article are those of the interviewees and are not intended as representations of the Christian community as a whole, or of the official policy of this publication. If you are Christian and would like to share your views on Trump's economics with us, we'd love to hear from you – just drop us a line at contribute@ecnmy.org.